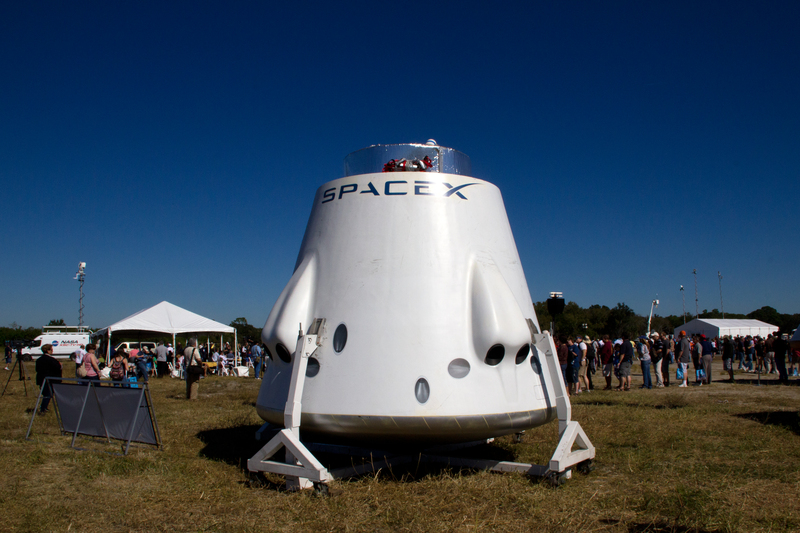 Next Generation SpaceX Dragon Crew Spacecraft (flames out out of those nose-like holes! ), NASA’s Kennedy Space Center, Cape Canaveral, Florida. On display during rollout of space shuttle Atlantis from VAB to new exhibit building at KSC on November 2, 2012.